AWS Marketplace is hiring strong Software Engineers, Software Engineers in Test, Technical Product Managers, Product Managers, and Account Managers for the next phase of our effort. Our job is to bring Amazon's e-commerce expertise to cloud software and fundamentally change how software is discovered and consumed in the cloud - and we need your help! The feedback from customers is rolling in and we have a long list of new ideas just waiting to be designed and implemented. The AWS Marketplace is newly launched and it’s just the beginning of things to come. The systems are complex and there are huge opportunities to work at all levels from the front end user experience, to a set of robust platform services, to kernel and system level pieces and everything in between. As a Software Development Engineer on the team you will own significant portions of the product and will have significant influence on our strategy by helping define the next wave of product features and system architecture. You should be somebody who enjoys working on complex system software, is customer-centric, and is passionate about building good software as well as making that software achieve its operational goals. A commitment to team work, hustle, and strong communication skills (to both business and technical partners) are essential. We are looking for Partner Business Development Manager to join the team to help grow our selection, build relationships with sellers and to drive new seller adoption. You will work closely with AWS Sales and Business Development to cultivate relationships with existing, high-profile vendors and forge new vendor relationships. Also working with AWS Marketplace product management to make sure we're building the right tools and functionality for our seller customers. This position has a high level of visibility, and you will need to be a strong leader, able to communicate clearly and compellingly at all levels of the company. Most important is your attitude and work ethic: as a start-up, we will wear many hats, work fast and smart, and adapt and iterate quickly. We are looking for a Senior Marketing Manager to join our quest to make great software easier for everyone to buy. The ideal candidate is a highly creative, great storyteller and is also relentlessly data driven. Someone who comes up with great ideas daily, tests them immediately, and has the rigor to double down on the great ones, while leaving behind the others. This person will be responsible for website optimization, analytics, and demand generation. They will find patterns and insights in data and use that information to make our site better for customers and our marketing more effective. We are looking for a Senior Product Manager to help power significant growth. Your responsibilities as Senior Product Manager will include defining the product, running the business, and creating demand for the site.You will work with the leadership team to set strategy and make the hard, high-judgment trade-offs between features and speed-to-market. Successful applicants will have extensive product management experience and well as an understanding of the ISV (Independent Software Vendor) and SI (Systems Integrators) ecosystems. You should be very delivery-focused, with a track record of shipping innovative, customer-centric, and successful products. We are located in the heart of Seattle, WA. 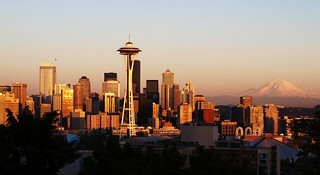 If you don't live in Seattle, we offer comprehensive relocation/temporary housing as a part of our package. Seattle is one of the best places to live in the US and we'll get you here if you're the right fit for the job.